Physicist Zhifeng Ren has been named director of the Texas Center for Superconductivity at the University of Houston (TcSUH), succeeding Allan J. Jacobson, who will become director emeritus and refocus on his own research projects after more than a dozen years at the helm. 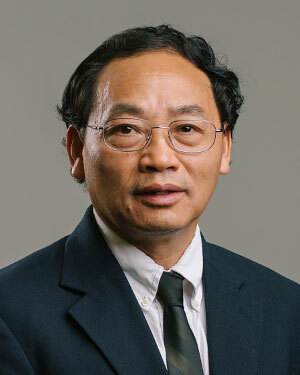 Physicist Zhifeng Ren has been named director of the Texas Center for Superconductivity at the University of Houston. The center expanded its focus on commercialization during Director Emeritus Allan Jacobson's tenure. TcSUH was founded in 1987 as a multidisciplinary research center, reporting to and partially funded by the UH Division of Research. TcSUH now has more than 200 affiliated faculty, postdoctoral fellows and students working in the fields of superconductivity, energy and health. It has achieved national and international acclaim and has created exceptional intellectual value for UH, Texas and the nation. Amr Elnashai, vice president/vice chancellor of research and technology transfer at UH and the UH System, said TcSUH actively increased its focus on commercializing superconducting devices during Jacobson’s tenure. The center was founded by the Texas Legislature in 1987, months after physicist Paul Chu led a research team in the discovery of the first compound to act as a superconductor at a temperature above the boiling point of liquid nitrogen. Chu, TLL Temple Chair of Science at UH, is founding director and chief scientist at the center. Jacobson served as interim director in 2002 and was named director in 2005. 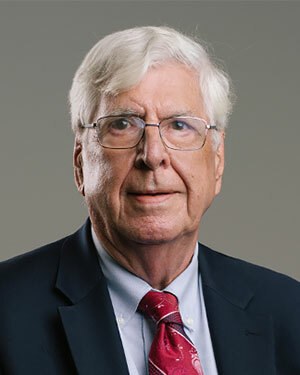 Ren, a fellow of the American Physical Society and of the American Association for the Advancement of Science, was recruited to UH in 2013 as M.D. Anderson Chair professor of physics in the College of Natural Sciences and Mathematics and as a principal investigator at TcSUH, arriving from Boston College. By then, his reputation for cutting-edge research in a variety of fields was well established, including work in high-temperature superconductivity, carbon nanotubes and high-performance thermoelectric materials. He will continue to lead his research group, in addition to his new role at TcSUH. He has been involved with creating startup companies in both Boston and Houston and said TcSUH will continue to push forward in both transformative fundamental science and commercialization of superconducting and other materials. The goal is to commercialize UH technology for the American market, he said. “If you don’t eventually move new discoveries to practical applications, how can you expect the public to continue funding your research?” he asked. Jacobson said at least six spinoff companies were launched from TcSUH during his tenure, including Endomagnetics, co-founded by and based on technology created by researcher Audrius Brazdeikis to detect the spread of breast cancer, and REEcycle, which reclaims rare earth elements from electronic waste. That technology came from Jacobson’s lab and was commercialized by students from the Wolff Center for Entrepreneurship in the UH Bauer College of Business. Ren received the 2014 Edith and Peter O’Donnell Award in Science from The Academy of Medicine, Engineering & Science of Texas. Both he and Jacobson are fellows of the National Academy of Inventors. Among his discoveries currently under development for commercial applications are a nanotechnology solution to boost oil recovery and several catalysts designed to more efficiently produce hydrogen from water, along with a breakthrough on achieving thermal conductivity higher than 1000 watts per meter per Kelvin at room temperature.